Yes, as mentioned in another thread, I have potentially scored a 1989 B11 Alpina, or it may turn out to be a 1989 735iL badges and stickers special....... yet to confirm either way, but given the purchase price, it's a bargain given the straightness, originality and low k's. Brief history as I know it at the moment, there will be more info and pics when I get time. Guy I bought it off imported it from Japan himself. I've got the paperwork here from that, so I'll be the second NZ owner. K's are around 87k 88k. He bought it over when it had about 42k or 43k I think. Allegedly ex Japanese PMs car, and also allegedly armour plated. Matching numbers and nearly everything complete. Reg is on hold, been parked up for a year as he used this car to take his mother on long trips, she passed away about a year ago and it's been parked up since. Exterior needs a little work. Clear coat fade on the roof, and rear spoiler leaks a little water into the boot, no major damage there yet but want to get that sorted first. Interior is nearly immaculate, a couple of tiny little details to sort. However it has an issue at the moment where smoke comes from under the dash when the battery is connected, so have to pull the dash and sort that. Check engine light is also on, I'm guessing this is being caused by the dash problem, but that shouldn't be hard to sort out. Anyone know where to import E46 M3? Doesn't affect the import laws. The logic being that cars coming into the country should be cleaner than those already here. 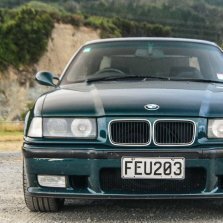 Even though you can buy a used NZ new EU3 E46, it has to be EU4 to bring it in as an import. Cheers for the bump @KwS. I got the car back last Monday. I thought I'd drive it for a week before calling it resolved. TLDR: It was the HPFP, not Injectors. $2300 plus labour and the job is done and the car is going like a champion. To continue from my last post. The dealership - INDUSTRY MOTORS TAKANINI - accepted that I send the car to Winger BMW in wellington. They told me I had to Organise my own transport and that they would pay for it. I got back to them the same day with the phone number and the quote for $300. It took them 4 days to pay for the towing, but we got there eventually. I still had to fight the dealer. I rang Winger BMW to get their version of the story, and they told me that Industry motors had just asked for a quote for six injectors. I rang the dealer and told him that I had clearly asked for the car to be re-diagnosed. He didn't want that to happen because "Every workshop gets a different result. BMW Dealerships staff are just parts fitters who go by what the computer tells them and send things away to specialists to have any work done". 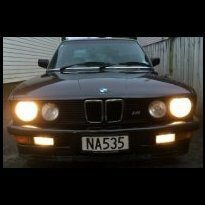 He went on to say that he had worked at a BMW Dealership in Auckland for a number of years. Well, what does that say about him then.. 😂 He was clearly just scared that it was going to cost him more money. It ended up costing him less so that's good. We had a reasonable argument about it on the phone but I didn't budge and in the end, he agreed. The car went on Thursday, I had it back Friday afternoon. Incredible service and communication from Winger BMW. Was really impressed. As for Industry Motors, what a bunch of Slimeballs. I accept that my workshop got it wrong with the codes, but that doesn't excuse the conduct of Industry motors throughout the time that we thought it was the injectors. They've redeemed themselves a tiny bit by finally fronting up, but not before I had to drag them through the tribunal to get it. Steer clear as much as you can. I have not received an apology from them, or any form of follow up after I got the car back. Thank you to everyone who helped me along the way. I'll be able to attend some club meets now! Does the rule not have a provision for cars that are the "same" as ones sold locally brand new? If not that seems crazy. Unless you live in the bush keep in mind that you also have a civic duty not to piss off your neighbourhood with an obnoxiously loud exhaust. Might have one lying around.. Just need to work out if it's worth selling or keeping with the car in case the next owner doesn't like the carbon! It's illegal still. I've been with people doing it in an e30, an e36 and an e46. Never done it on the car, you'd probably fall off and hurt yourself. E63 has quite a long hood though, so it might be the safest one not to fall off of. A few E46 M3's have popped up on TM in recent days. Might pay to send @M3_Power (Tom) a PM (or he may now see this thread) as he's the resident expert on CSL parts and suppliers. Whilst you're waiting look back through some of Tom's threads/posts for probably useful info. Little bit of progress made recently - Paul has had the car up on the rotisserie and has stripped the underside, the rear guards have been 'radiused' to accept the wide body rear fenders and the air jack mounts have been installed. Next on the list is to mount the fuel cell, engine and gearbox before painting the floor. E30 Race Car - Jim Richard's JPS M3 Tribute. Resurrecting this post from the dead... as there are the shoots of progress starting to come out of the garage. Decided against putting it all back together to race this season, it was really hard watching the 1 Hour Enduro at Hampton Downs on the long track, but there will be a next time I hope. It would have needed quite a bit of tidying and paint etc. even after I had screwed everything back together from the state it was in. Good news was that after months of waiting my shipment of panels for the E30 M3 kit finally arrived from Europe. I was a bit concerned about how well it would travel, being as the panels are fibreglass, so a bit on the delicate side. Thankfully, they were very well packaged, with lots of protection which was just as well as there were signs of some rough treatment on the way as I expected. After finally getting everything unwrapped and un-packed which was a bit of a mission, mainly due to running out of space to put the parts in the garage and space in the wheelie bin to put all the packaging, I had chance to check the parts over for damage and quality. There was only one small impression on one part which should come out with a bit of heat and pressure. Parts are nice and light, which is good for a race car - will see how well the measure up and fit as I go. Couldn't resist a quick tape them up on the car to see what they look like... If only they were that easy to fix on the car properly... now into all the cutting and grinding on the rear end to get the guards and c-pillar extension to fit onto the body. This will be the most complicated part of the whole thing, plus once that's done I can start prepping the shell for painting. Whoops, I accidentally bought another BMW!! Luckily it was only a die cast model, so not too expensive. It was supposed to be the new E30 M3 Warsteiner race car from the Lifestyle catalogue, but I got the last digit of the part number wrong so the M1 turned up instead. I thought it was pretty cool, especially with the car details, and it it being Piquet's car so decided to keep it. M3 is on back order so waiting for that one to arrive. If I could stop buying stuff like this then I might be able to afford to buy a REAL E30 M3... maybe not. I agree, stick with something in NZ, there are 100's of them here. 30K should get you a nice example. 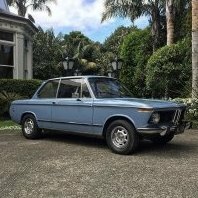 Looks like a good solid car, but im sorry to say it looks like its just had the full JDM Alpina badge/sticker set chucked at it, but no actual Alpina parts. Its missing all the interior and exterior parts for the B11. @BM WORLD- Thanks dude but I will leave it for now. I went and got the mufflers delted yesterday. Its really loud but , I love the sound it makes after 3-4 thousand revs. Sounds similar to a gallardo.